Are you new to the idea of detoxing? We all were at one point or another, but those of us who have discovered its amazing health benefits have never looked back. You may be a detox newbie now, but after reading this guide to detoxing for beginners, you’ll be well on your way to living a toxin-free lifestyle. Detox is an absolute critical part of maintaining a healthy lifestyle. Short for “detoxification”, it’s a term used to describe the natural process of purging that takes place within our bodies. 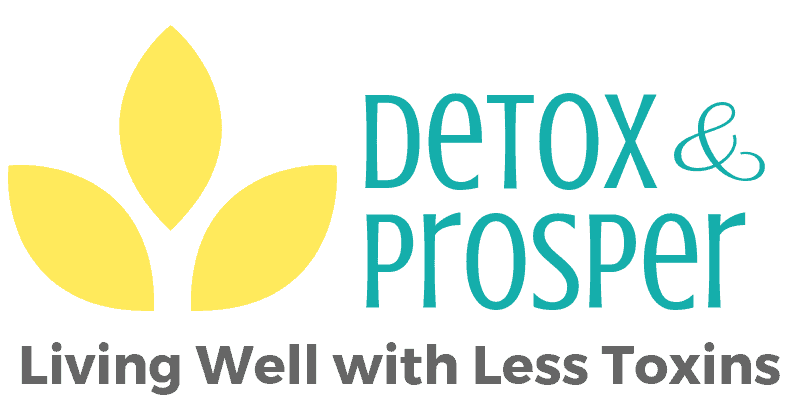 The detox process neutralizes toxic waste, chemically transforming it into a relatively harmless compound and eliminating it from the body via stool or urine. 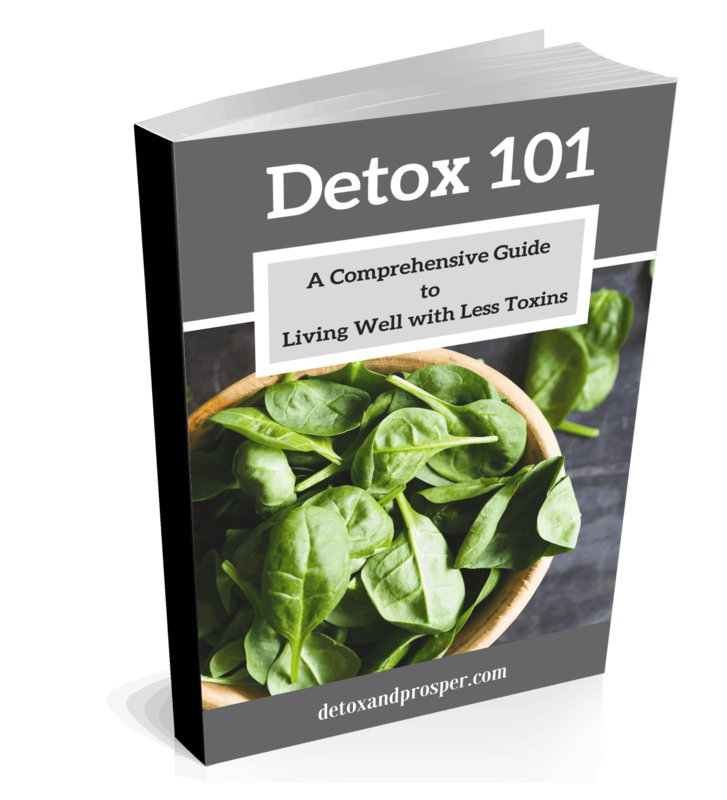 This guide covers the need for a detox, its benefit, symptoms to look out for when ready for a detox, a detox diet to follow, and much more. I also created a free ebook that digs deeper into each point. Grab it below and use it for quick & easy reference! Subscribe to the Detox 411 newsletter to receive regular tips, recipes, freebies & scam alerts in the wellness world. Plus, get INSTANT ACCESS to your free Detox Ebook! Yay! Your ebook will be delivered shortly! You might be wondering why the need for ongoing detox when our bodies are equipped with a built-in detox system. Our bodies were designed to carry out this process naturally, but our modern society continuously produces new chemical additives, preservatives and toxins that overload our systems. Your car was created to run and was given everything it needed to do so when it was manufactured. But does that mean you never change the oil? Of course not! The oil gets so gunked up that it must be changed in order for the car to carry out its purpose. The media tends to put the focus of a detox diet on weight loss and a drastic reduction in calories. I bet some of us even started a detox program to benefit from the short-term weight loss that comes with it. Taking this conscious effort to make a change in your lifestyle is okay, but a healthier alternative is to look at the benefits of weight loss via detox as one with long-term results based on sustained, healthy eating habits. Sugar calories are far worse than whole food calories because they trigger inflammation and create insulin spikes to hold your weight hostage. Detoxing provides a way to keep the excess waste in your body on the move. Routine detox helps your body purge itself of these residues, enhancing the function of your liver, kidney and colon. When you have a clean colon and liver, the rate at which these toxins are re-introduced to your body decreases significantly. Regular detoxing helps free up your organs to enable them to function properly. This allows you to absorb nutrients better, fight off bugs and have a healthier lymphatic system. Skin issues like acne can be improved with detoxing. Since your skin is the largest organ of your body, it makes perfect sense to expect a smoother, brighter complexion following a great detox regimen. You can speed up this process by sweating out toxins via an infrared sauna. Yes! A detox is a great way to kill your biological addiction to sugar, caffeine or flour. It helps promote healthy changes in you when you replace unhealthy food with healthier options. Your body isn’t the only one benefitting from the purging and cleansing of toxins – so is your mind. Detoxing improves your state of mind for clearer, more defined thoughts. The fat and sugar-filled foods we’re accustomed to create fogginess and fatigue. 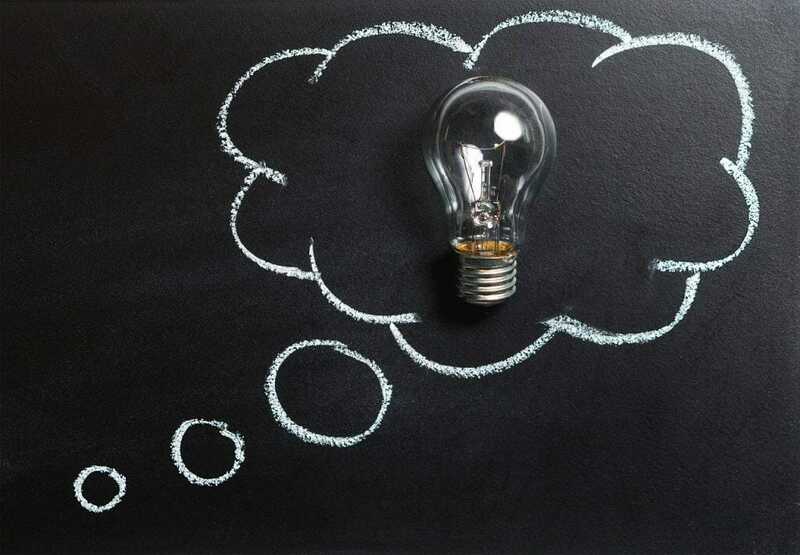 This “brain cloud” often interferes with our way of thinking. If you’re still a little unsure, here are 5 signs you need to detox. Bouts of constipation and indigestion are signs that something is off in your digestive system. Frequent dyspepsia is a common sign of your body’s need for cleansing. If you’ve tried adjusting your diet and increasing your fiber intake to no avail, you are due for a detox. If you lack that pep in your step, feel various degrees of lethargy or wake up feeling sluggish, a detox can be just what you need. Stimulants like coffee only exacerbate the problem as they result in a crash after the quick pick-me-up. And if I had to judge by the surge of energy drink and caffeinated beverage sales, I’d say there’s a low-energy epidemic going on. Toxins within your body can leave you fighting a losing battle with your scale. Have you tried eating healthier and exercising but still aren’t seeing results? Consider the fact that toxins effectively work against the absorption of nutrients. 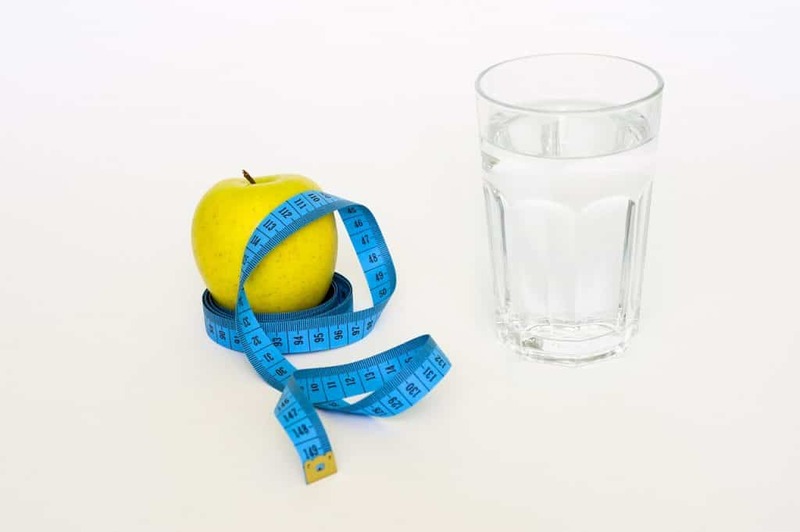 A detox removes that barrier and sets the stage for healthy weight loss. If you’ve dealt with rashes or outbreaks that no topical or internal treatment could fix, it’s time to consider a detox. A detox remedies the root of the problem, which is often toxins. Important Side Note: Sometimes detoxing causes side effects like outbreaks while toxins are being released from your system. So don’t be surprised if skin issues worsen before they get better. Do you toss and turn all night? Have trouble falling asleep in the first place? Once again, a buildup of toxins is one cause of such issues. Ok, now that you’re convinced you need to detox, lets dig in to how you can go about doing that. From pesticides to additives, many of the foods we consume are doing more harm than good – and it’s way more widespread than you’d think. In fact, the US alone goes through roughly 1 billion pounds of pesticides each year, and these are used on healthy items like apples, strawberries, broccoli and more. These pesticides have been linked to everything from emotional instability and muscle cramps to changes in heart rate and cancer. Dump processed foods and embrace whole foods instead. On top of that, stick with organic produce. 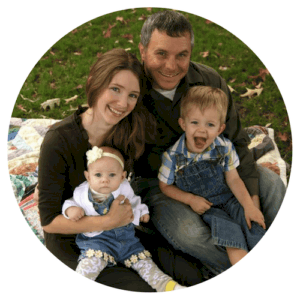 As a busy mom on a tight budget, I know it’s not always possible to buy organic all the time. If that’s the case, reference the EWG’S Clean Fifteen list to see what you can get away with buying non-organic. Water seems innocent enough, right? But research shows the average tap water contains more than 140 contaminants. Even worse, pharmaceuticals like tranquillizers, painkillers and birth control pills are also found in tap water. And unfortunately bottled water is no better thanks to their chemical-leaching plastic containers. 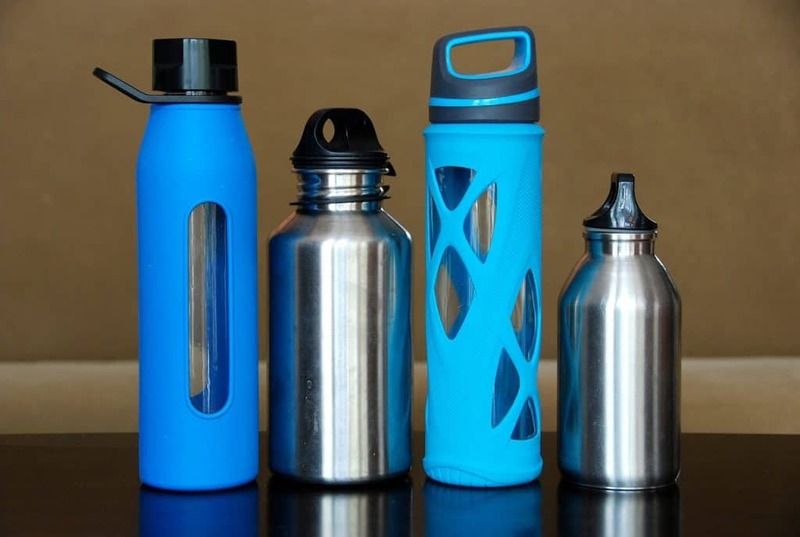 Look for glass or stainless steel water bottles like the ones picture above. Glass bottles often come with silicone sleeves to prevent shatters. Get a whole home water filter or at the very least a tabletop filter. If you live on a well, get a kit for testing your water or check with your local government to see if they offer well-testing programs. Toxins are at every point and place in our environment – at home, school, our workplace, the air we breathe and more. These make us vulnerable to disease. Our society’s reliance on industrialism isn’t helping matters as we now rely on manmade chemicals, vehicles and factories to function, all of which contribute to the amount of toxins in the air. These toxins aren’t just outside our home, but inside as well. They come in the form of products like air fresheners and cleaning sprays. Intended to clean and refresh, they ironically introduce toxic substances. Brush with a fluoride-free toothpaste or powder. This one’s my favorite. We all want to feel and look great, but not at the cost of our health. Parabens, sodium laurel sulfates, diethanolamine are few of the harmful chemicals used in our personal care products. It’s funny they don’t just provide more big words to learn, but also bigger toxic problems to deal with. From conditioners to shampoos to makeups to perfumes, they introduce harmful toxins into your bloodstream through the skin. Check ingredient labels and avoid those with things like talc, lanolin and phthalates. Also, avoid the use of body care products that have synthetic colors and limit your use of non-natural perfumes. Now that you know the areas to focus on, let’s look at the best ways to create a lifestyle of detox (aka not just the 7-day juice cleanse type detox). Sometimes a bad habit can have devastating results. Other times the consequences are little less noticeable. Things like alcohol and tobacco contribute to the body’s inability to cleanse, and long-term toxin overload often ends in hard-to-treat conditions and disease. Our body needs nutrients and antioxidants to fight off toxins and infections that threaten to compromise our immune system. Support your body’s defense system with nutrient-rich superfoods. Examples of these superfoods include flax seeds, walnut, kale, spirulina and more. Cookies and fries may taste good, but they thwart every stage of the detox process. Simply eliminating these foods is the first step to a lifestyle of effective detox. If you don’t know much about probiotics, they basically flood your gut with the good bacteria needed to keep your digestive system functioning properly. Recent research suggests that 80% of your immune system lives in the gut, so this simple addition can greatly impact your health. Probiotics are found in fermented foods like kefir and yogurt, but you can also just take it as a supplement in pill form. Look for one with at least 15 billion CFUs and multiple strains. I take this probiotic by Renew Life with 50 billion CFUs and 12 unique probiotic strains. 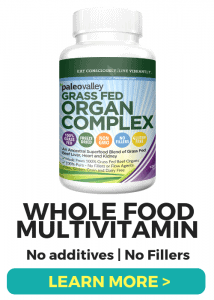 It’s the highest strength probiotic I’ve found that fits within my budget. I go ahead and buy the 90-day count, so I don’t have to worry about it for 3 months. They’re also available in 30 and 60 count. I know, I know…this is probably the millionth time you’ve heard that, but it’s so important. For most people, the typical 8 glasses a day is the bare minimum and not enough to support a healthy detox. Water helps flush out toxins, helps your organs function properly and also supports your digestive, respiratory and circulatory systems. Incorporating lemon water into your diet is a great detox strategy that helps you start each day with a clean slate. It’s best taken first thing in the morning with a cup of warm water and freshly squeezed lemon. This revs up your metabolism and helps flush out the toxins in your system. A detox diet is ultimately a nutrition plan that helps you expel toxic waste from your body, and one that provides the necessary nutrients, vitamins and antioxidants required for detoxification. A beginning detox diet involves a combination of fresh green vegetables and fruits. Here is my list of the most detoxifying fruits and vegetables though it’s not comprehensive. An avocado has more to offer than just being a meal of guacamole or an extra filling for your toast. It’s a detox superstar that contains glutathione – your body’s master antioxidant. This paired with its other nutrients make it a great detox food. Dandelions have been largely overlooked as a detox food, but it can do wonders for your liver. Dandelions have been used for hundreds of years to strengthen the liver and cleanse it of toxins. They work by filtering and straining waste and toxin from your bloodstream. Basil acts as an herb to facilitate the elimination and breakdown of metabolic chemicals within the blood. Not to mention, it tastes amazing on a salad or cauliflower crust pizza! The high content of vitamin C and sulfur contained in cabbage makes it an ideal detoxifying food. They’re especially helpful in freeing uric acid and radicals in the body while also stimulating the activation of 2 important enzymes that help detox the liver. The medicinal value of ginger dates back to ancient Chinese civilizations. If your liver is overwhelmed with toxins, ginger can help get it back into shape. Radishes are a welcomed addition to any serious detox program as they help clear out built-up toxins. Seaweed contains a high amount of iodine and chlorophyll, which makes it highly detoxifying. Whether you like it wrapped around a piece of sushi or sprinkled in a salad, it provides tons of support for your thyroid. Popeye was onto something here. Spinach comes with a heavy dose of glutathione, vitamin C and protein that helps support our immune systems while providing a powerful antioxidant boost our bodies need. Kale has been on the rise in detox diet in recent years and for good reason. It comes packed with so many anti-inflammatory properties, vitamins, minerals and antioxidants. It helps flush toxins and is often recommended for patients fighting kidney disease. This fiber and nutrient-rich juice helps dislodge the bad stuff and flood in the good stuff. Not only great for weight loss, they also pack a nice detox punch. It gets your liver fired up and ready for action while at the same time burning fat. Lemon is perhaps one of the most popular detoxifying fruits out there. Lemons are sure to rev up your digestive system and flush out the toxins from your body. Detoxing with it is as simple as adding lemon juice to warm water. The old adage “an apple a day keeps the doctor away” wasn’t too far from the truth, and it still rings true today. Apples contain a type of fiber known as pectin, which whisks out metal and food additives from the body. 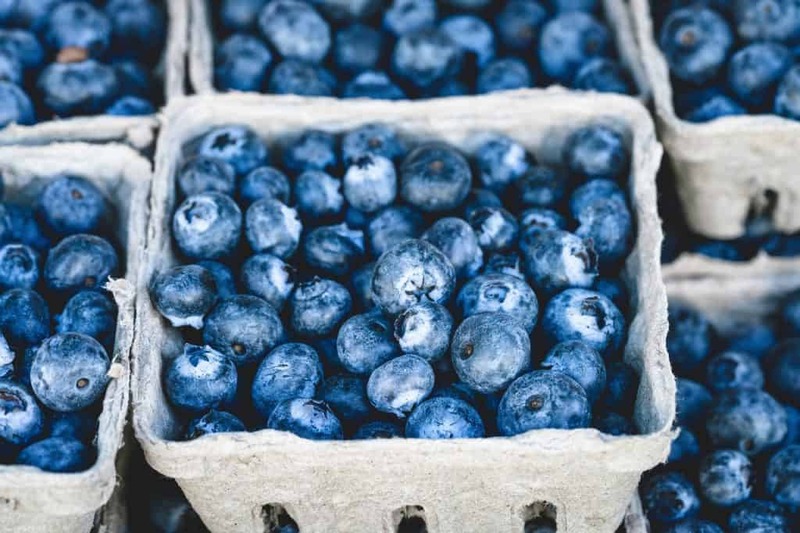 They also contain flavonoids, which ward off cancer cells and support brain health. Cranberries are often recommended as an alternative treatment for urinary tract infections, but it’s also effective in detoxing your kidneys. Papaya made the list due to its potent antioxidant properties, natural laxative ability, fiber content and digestion-enhancing enzymes. They are rich in vitamin A, C and K are quite effective in cleansing the body. Pomegranates provide a perfect way to boost a natural diet. They come loaded with healing and healthy antioxidants that boost your immune system and fight disease. Plums are high in fiber and antioxidants, making them a tasty detox option. They help absorb nutrients – an attribute that’s particularly helpful during a detox program. You can feel renewed and more vibrant in a matter of minutes with the use of activated charcoal. It helps move out toxins that are stored in your body before they cause serious damage. I mentioned earlier that a sweat session is great for expelling toxins from the body. And what better way to work up a good sweat than a sauna? While there are many different types of saunas, the best one for detoxing is the far infrared sauna. They work by heating your body directly as opposed to the air around you. Oil pulling sounds a bit strange, but it’s actually an effective way to remove toxins, and one that’s been lauded by the ancient practice of Ayurveda for centuries. Always use organic oil like sesame or coconut, and work your way up to using it 4 times per week. Consult a physician before starting a detox diet. Don’t overdo the diuretics and laxatives. 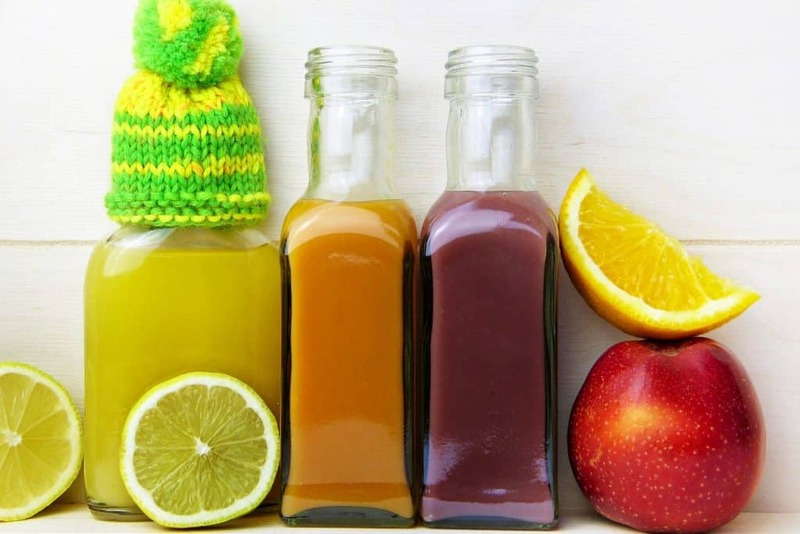 Children, pregnant or nursing women, underweight individuals and people with conditions like heart disease, diabetes, depressed immune function, cancer, kidney or liver disease, terminal disease and hypothyroidism should not go through a detox diet. I hope this detox guide for beginners was helpful to you! 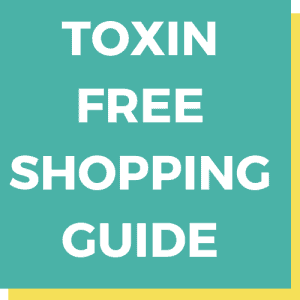 I’ve also written an ebook that delves even deeper into detoxing that you can have for FREE today! It also includes an A-Z list of the most detoxifying foods. Fill out the information below, and it’ll be sent to your inbox within minutes!